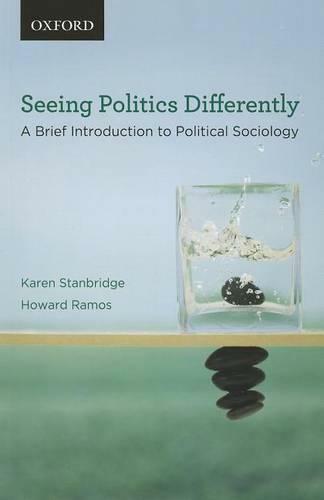 Engaging and innovative, Seeing Politics Differently: A Brief Introduction to Political Sociology provides students with a concise introduction to political sociology-the study of how power is distributed within society-with a particular focus on the Canadian context. Using a unique approach designed to help students to understand theory as it applies to familiar topics such as wealth, cultural status, and institutions, Seeing Politics Differently examines the way that power is created, maintained, and challenged not just within government but in schools, homes, workplaces, the community-even how we see others as well as ourselves. Offering an accessible discussion of key works and perspectives within the discipline, with reference to contemporary examples throughout, the authors make a persuasive case for the importance of cultivating the ability to critically assess who is permitted to hold power in our world, and on what basis.